Below are the directions on how to read the map. You will need to down load the map, which may take a few minutes. The Red Box indicates where the “Trailer Parking Lot” is located. 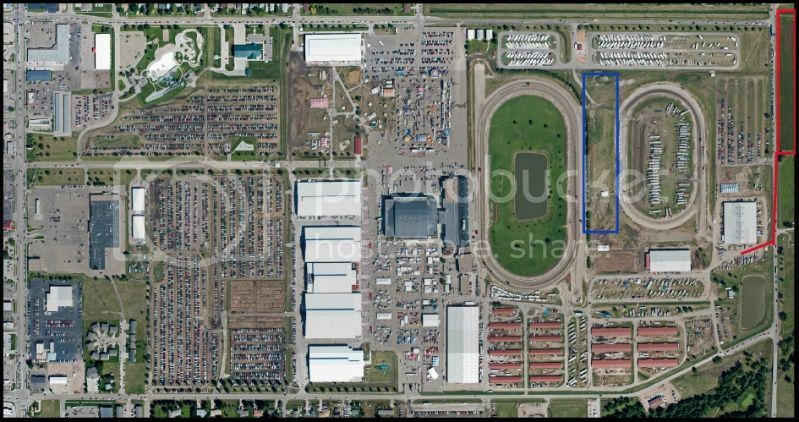 The tractors would unload in this lot and then travel south on Stuhr Road (follow the red line) to Gate 9. The lotRed Box is very large and extends to the east. There is only a fraction that is shown on this map. They then would enter the grounds at Gate 9 near the R barn. From there they will be directed to their spot. The Blue Box indicates the tractor display before the parade.